Nasko, as he was fondly called by his friends, an APC youth leader, was reportedly found dead on Friday in his hotel room at the hotel located along the Isaac Boro Expressway, Yenagoa, the state capital. The deceased, a former Senior Special Assistant to Governor Seriake Dickson during his first term in office was said to be in his late 30s and married with two children. Security agencies especially the police were said to be investigating the cause of death of Nasko, who later shifted loyalty to the APC state leader and former Governor Timipre Sylva, during the 2015 governorship election. One of the accounts claimed that the deceased was allegedly poisoned by his female companion who went with him to the hotel on the fateful day. But another version said that the deceased died peacefully in his sleep in one of the hotel rooms. A kinsman of Nasko, who spoke in confidence, said the deceased hailed from Amassoma in Southern Ijaw Local Government Area of the state. He said the death of Nasko was curious and unacceptable as he was full of life before he retired to his room to sleep on the fateful night. He challenged the hotel authorities to unravel the cause of his death and called on security agencies to find out the circumstances that led to his demise. But sources claimed that lack of functional Close Circuit Television (CCTV) in the hotel room was frustrating investigations into his death. The kinsman said that a big hotel like Aridolf should have a CCTV to unmask the identity of the lady that the deceased was with when he died. He said: “The hotel sure has questions to answer. A hotel as big as Aridolf cannot claim not to have a CCTV. So, the hotel will do a whole lot of good to unravel what happened. “Therefore, we implore the security agencies, particularly the police to swing into action to investigate this sad incident. The hotel should be made to provide the identity of the lady that went with him to the hotel. It was also learnt that the deceased was found naked in his hotel room by the hotel management. Friends of the deceased had taken to Facebook and other social media platforms to express sadness at the sudden death of Nasko. One of them identified as Casted Dude, said the deceased was warming up to contest in the Bayelsa State House of Assembly because of his popularity. He said: “It’s a sad moment for the family and friends of former Senior Special Assistant to the Bayelsa State Governor on Youth Development, Torukori Nasko Egei, who died tragically on Friday in Bayelsa State. 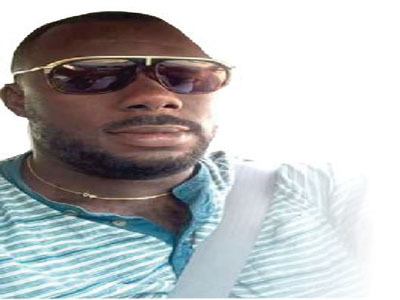 “According to his friends, the deceased was warming up to contest in the Bayelsa State Assembly as his popularity continued to grow before his demise. One of the deceased friends, Bodmas Kemepadei, said that the death should be investigated spiritually according to the customs and tradition of the Ijaw, precisely the Ogboin people. He said: “The families should seek Adegbe for justice, the Obobo should be consulted to know the true picture behind his death. The Police Public Relations Officer (PPRO), Bayelsa State Police Command, Asinim Butswat, confirmed the incident and said investigation had already commenced. Butswat, a Deputy Superintendent of Police (DSP), however, said it had not been established what led to the death of the married man. He said: “It has not been established whether he was poisoned or not. At this point, we won’t be able to establish whether he was poisoned and who poisoned him.